The D.C. Jail inmate who died last month as the District struggled to cool the sweltering lockup suffered a heart attack, according to a report from the medical examiner. The city insists the heat inside the D.C. Jail was not linked to the death of 70-year-old inmate Lester Irby. Attorneys with the Washington Lawyers Committee, who've been critical of the operations of the D.C. Jail, said the cause of death raises new questions about whether heat was a contributing factor. Inmates have been moved from warmer parts of the facility and now are allowed to wear cooler clothing and sandals. Lawyers representing some inmates asked the agency to provide more overnight access to water cups, too. 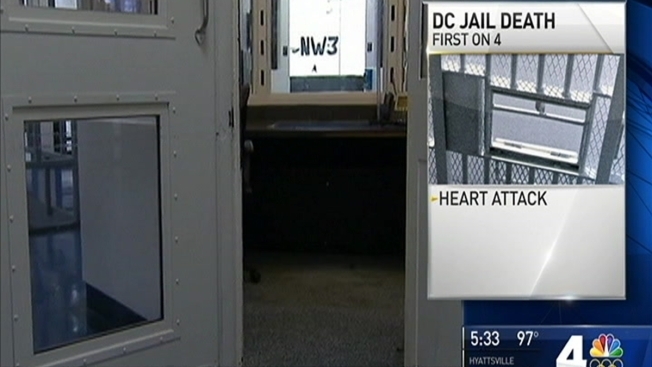 Inmates told News4's Mark Segraves temperatures inside the building that houses more than 1,200 people hit the 90s during a heat wave. Irby was a published author with a "heart of gold," according to his daughter Felicia Haigler said. A story of his was included in the popular 2005 book D.C. Noir, a collection of stories "detailing the seedy underside of the nation's capital," edited by mystery author George Pelecanos. Irby was a prolific, inspired writer who could not make a go of it outside jail walls, his daughter said. He repeatedly was imprisoned in jails and prisons across the country, she said.